Who says trains are just for boys? Rachel, 20, joined the Fort Wayne Railroad Historical Society in 2013 after discovering Nickel Plate Road steam locomotive no. 765 operating at the Cuyahoga Valley Scenic Railroad. 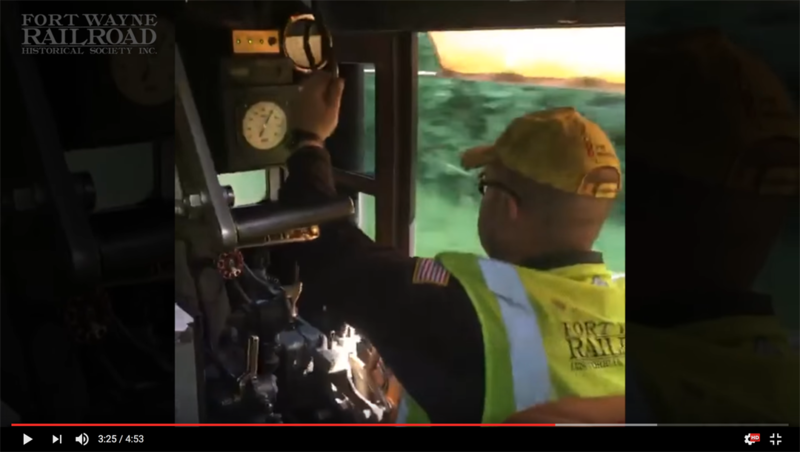 Within a few months, she found herself in overalls and work gloves learning to maintain and operate the locomotive throughout 2014. “The 765 is the first steam engine that I’d ever saw in person. It was incredible. I’d never seen anything like it,” she said. 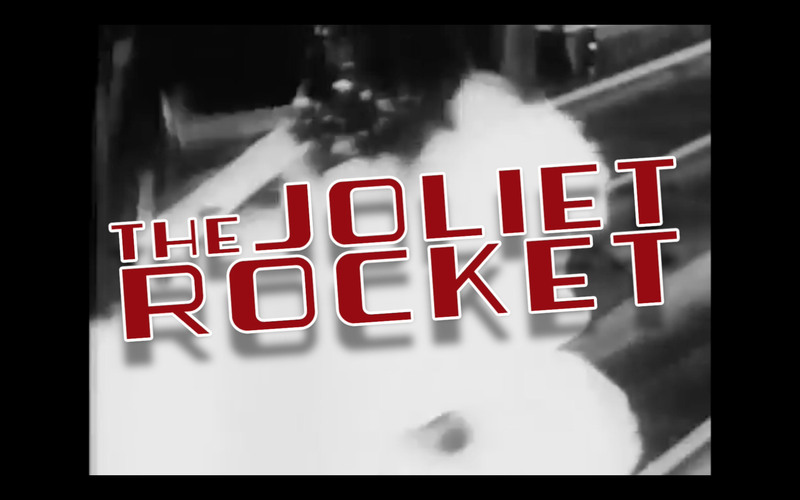 This year, Rachel can be found work in the shop helping machine parts for the front-end throttle of the 765. She credits her new skills to being on-board and around the engine last season. “It’s definitely made me more confident in my abilities,” she explained. When not working on the engine, Rachel’s passions include animals (she owns three pythons), science fiction and classical literature, and music. Fluent in French, she’s pursuing a major in environmental science. 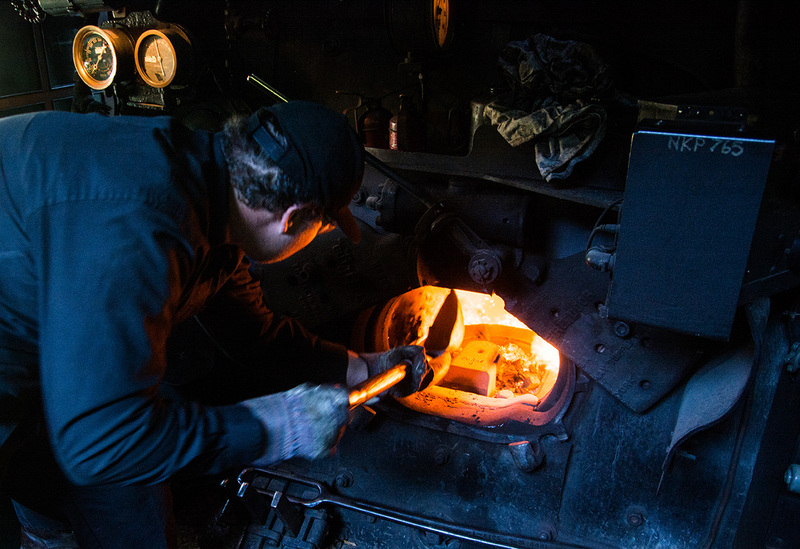 Volunteers like Rachel are important not only to the Society, but to railroad preservation as a whole where a new, diverse generation is needed to carry on the skills and experiences necessary to keep our the country’s inspiring and industrious history alive. 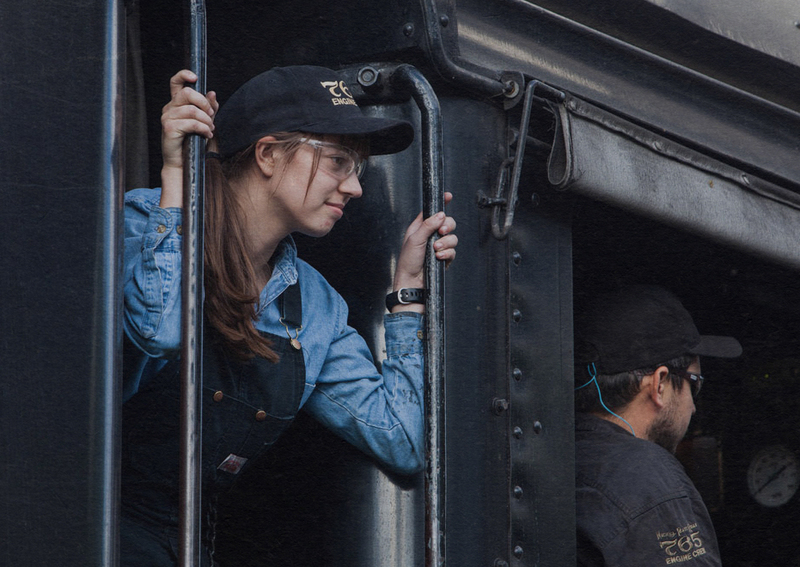 A life-long love of railroading and the power of the 765 inspired Rachel to join us. You can too.